Landscape in general is every visual elements viewed in one piece. The composition of soft and hard landscape from nature to living creature and man-made things makes places ever meaningful and pleasing. A perfect collaboration of hard landscape and soft landscape evokes a sense of serenity when it is viewed as one piece. The existence of soft landscape such as bamboos and water soften the hard landscape reciprocally. 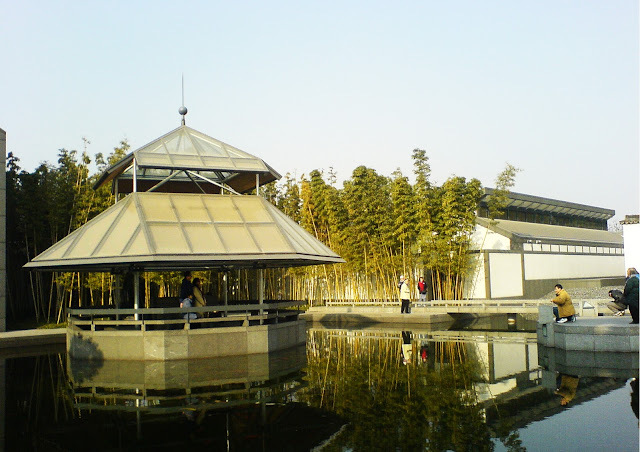 Geometrically pavilion is perceived as it is floating in the middle of the lake, acting as a strong focal point, while the verticality of bamboos serves as a boundary with strong local characteristically. The entire color scheme of hard landscapes such as buildings, stones and pavements are a tint, but not for the entire piece of landscape when they are contrasted by the color of the soft landscapes. 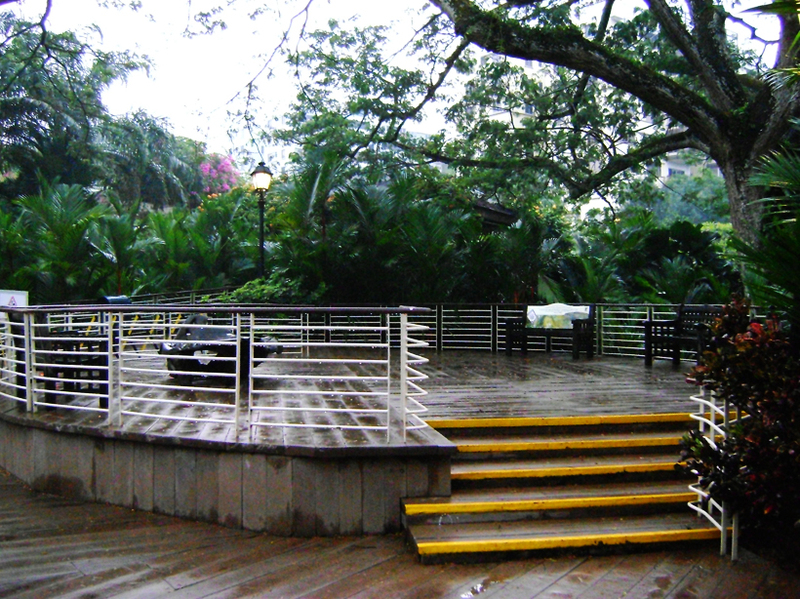 The use of water element give a sense of calming and soothing, and the place is tranquil and humble. Two nicely composed piece of artworks is appreciated as harmonious landscapes as a whole. 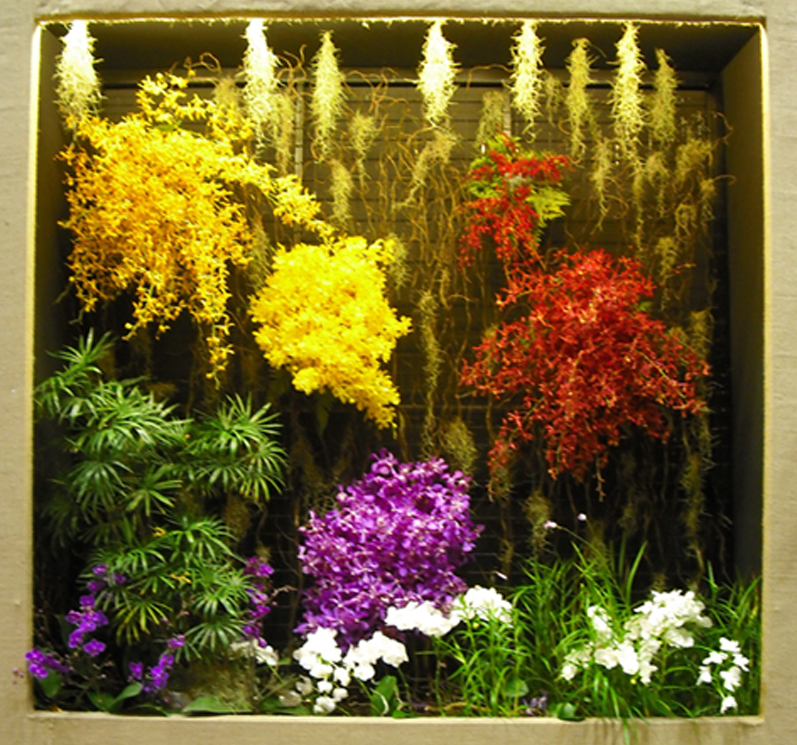 With the use of recess light pointing downwards to the orchids, it further intensify the entire characteristic of the landscape. The composition of orchids in different color formed a perfect quadratic scheme in color, a way of juxtaposing of elements in opposite colors in achieving a visually pleasing landscape.In the first piece of artwork, a thoughtful position of orchids in an interlocking manner make manifest the color by contrasting the colors of each other. While orchids in the second piece of artwork is composed in an isolation manner with orchids of different colors segregated. 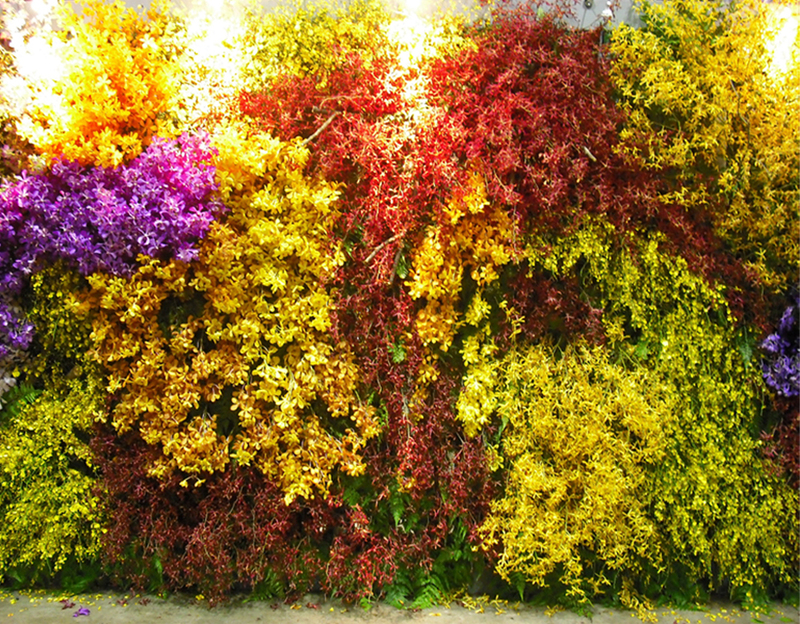 The proximity of orchids in different colors lies the background which is in dark color. It further brings out the characteristic and color of the landscape. The landscape is arranged in a vertical manner as if it is a wall of colors. The verticality of the landscape blocks visual axis, results in being a focal point as well as a strong feature. The entire landscape is perceptually vibrant and it gives a sense of order through chaos conceptually. 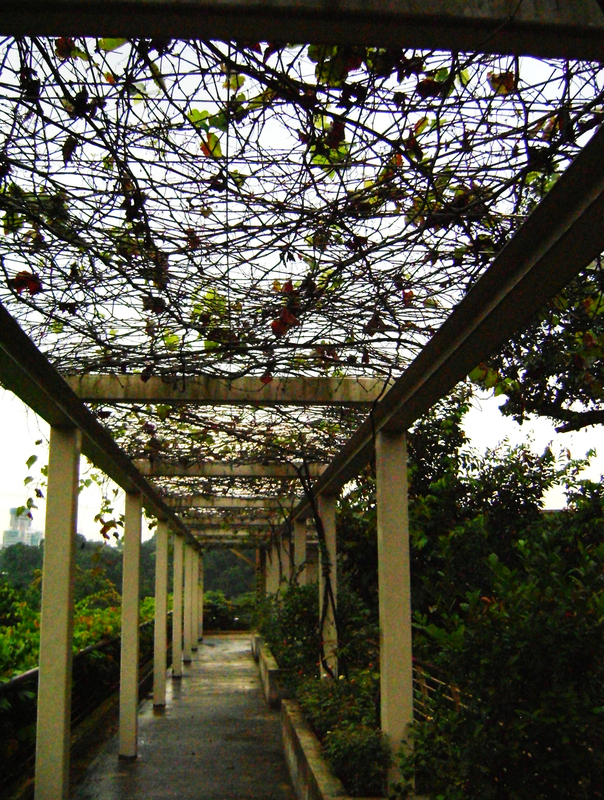 Botanical Garden in Singapore is a harmonious design with comprise of both organic and inorganic elements. An analogous color scheme is being repetitively used in most of the area, thus making the entire atmosphere as original and close to nature as it is. The careful designed hard landscape cater for the growth of soft landscape. It acts as a structural framework which foster growth of creepers. An elevated timber platform in an organic shape blends well with the nature. The entire composition gives an image of tropic and it is well balanced.